New Rivers Press, 9780898233759, 205pp. Fiction. 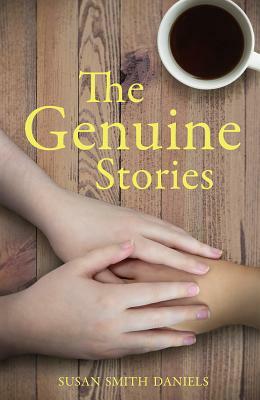 Winner of the Fairfield Book Prize, THE GENUINE STORIES is a collection of linked short stories centered around Genevieve "Genuine" Eriksson, who at the tender age of eight years old, discovers her uncanny ability to heal the sick and mend the injured. Though she grows up under the watchful eyes of her parents and the jealous protection of the Catholic Church, she strikes out on her own when she falls in love with Kevin Saunders, fifteen years her senior, after she heals him of testicular cancer. In her own voice, and those of family, friends, and the healed, Genuine's experiences peel back and expose the gritty aspects of power and privilege, the far-reaching limit of parental love, the perpetually oscillating balance in relationships, and the ineffable nature of grief. "Each of these stories is a gem. Susan Daniels manages to pull the rug out from under even the smallest of gestures and the interactions of couples, families, and strangers, revealing over and over the human touch in all its guises as miraculous. In showing the act of healing, she uncovers human beings at their most vulnerable. These are wise stories, and the feeling of the miraculous and of grace is palpable in each of them. In this world, anything, she seems to tell us, is possible." --Karen Osborn.